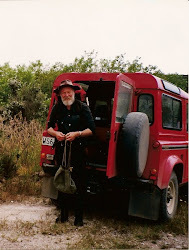 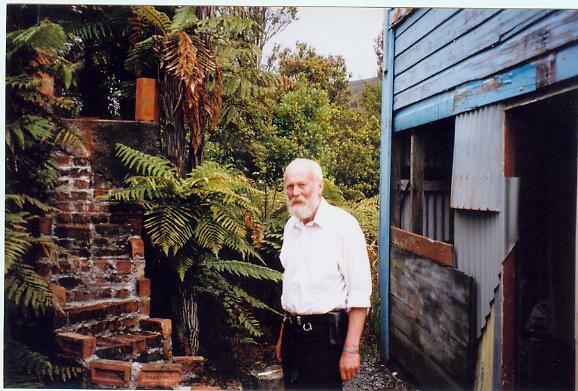 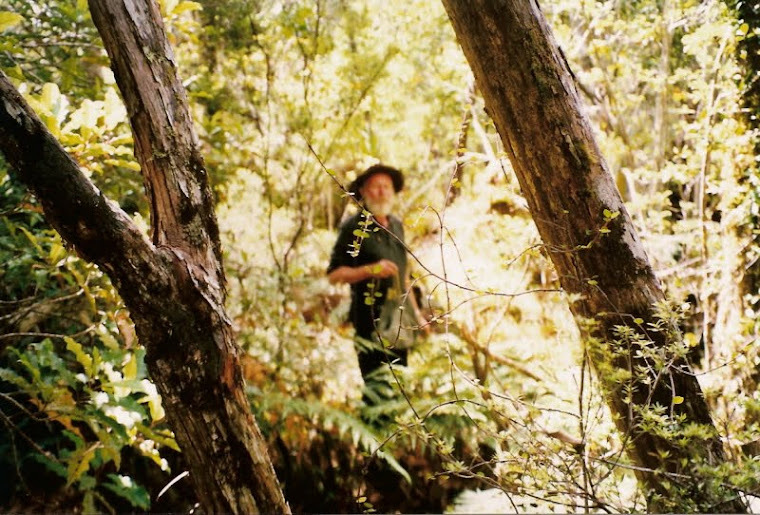 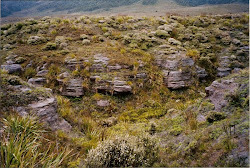 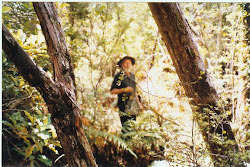 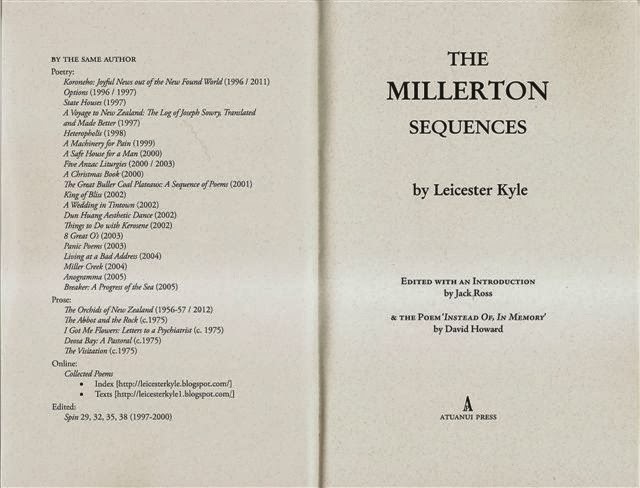 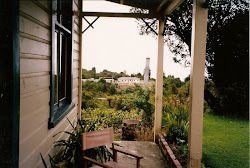 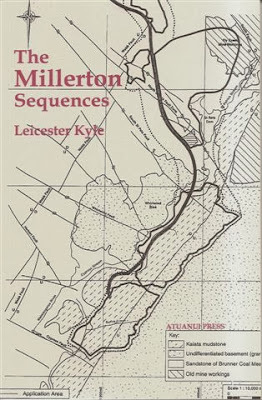 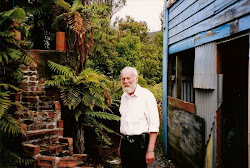 These poetry sequences, mostly unpublished, represent my choice of some of the best work from the second half of Leicester Kyle’s writing career: the Millerton period, dating roughly from his departure from Auckland in April 1998, after the death of his first wife Miriel, to his own death in Christchurch Hospital in July 2006. 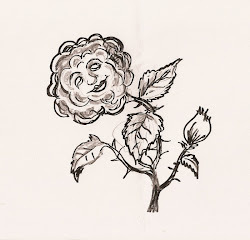 They have also been selected in an attempt to do justice to his wide range of interests and subject-matter. We have here a work of ecological protest (“Death of a Landscape”), a searching personal confessional (“The Catheter Club”), a botanical sequence (“Five Flowers at Millerton Mine”), a nature poem (“Picnic In The Mangatini”) and a meditative evocation of place (“Rain”). 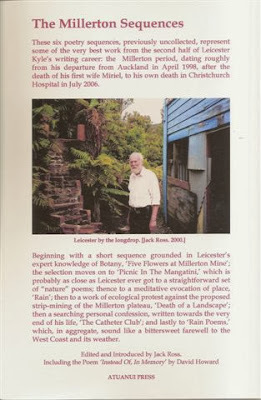 The facsimiles have been copied from Filebox 2 (1998-2006) of Leicester's Collected Poems, presently in my possession. The initial copytext for the transcription comes from Microsoft Word files found on his computer, emended with minimal adjustment and alteration by reference to the originals. The one exception to this practice is “Death of a Landscape.” In this case I’ve chosen to present the original handwritten manuscript (dated February 2004) in facsimile form, with the – presumably later – print version (dated March 2004) facing it. 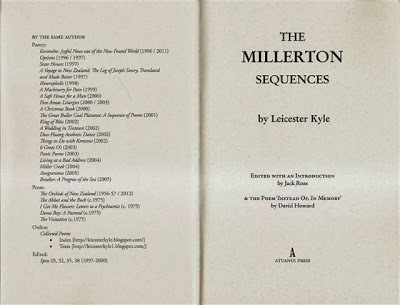 It seemed dangerous to assume that either of these texts entirely superseded the other, so this seemed the most convenient way for the reader to sample their continuities and divergences.